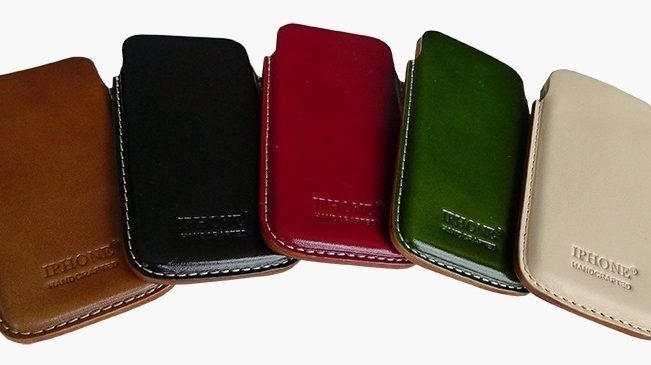 Citing 2001 trademark law, the Beijing Municipal High People's Court in March rejected Apple's legal appeal to secure exclusive rights to the "iPhone" trademark, upholding the mark as registered by Beijing-based leather goods maker Xintong Tiandi Technology in 2007. A lawyer for Xintong said the company actually acquired the rights from a Russian company in 2011, The New York Times reported Wednesday. In fact, the leather goods manufacturer was established that same year. Still, Xintong's acquired "IPHONE" trademark No. 6,304,198 holds a filing date of 2007. And since the "iPhone" name was not ubiquitous or "renowned" at the time —the device launched in the U.S. three months prior —Apple has no grounds for argument under Chinese law. The definition of what qualifies as "renowed" is, of course, subjective. When it launched in China in 2009 through a deal with China Unicom, the device sold like hotcakes. By 2011, the iPhone had become the preferred smartphone for Chinese trendsetters and was thus very well known. As for Apple, the company initially submitted a Chinese trademark application for "IPHONE" on Oct. 18, 2002, and received a registration by Nov 21, 2003. A separate trademark for "i-phone" was filed in 2004. Apple caught wind of what would become Xintong's mark in 2010, when that application was published, and moved to oppose its registration in 2012. China's Trademark Review and Adjudication Board denied two Apple complaints citing the 2007 registration date. The Municipal People's Court found similarly on appeal. Apple has vowed to take the issue to China's Supreme People's Court. Apple has "prevailed in several other cases against Xintong" under similar circumstances, company spokesperson Carolyn Wu told The Times.